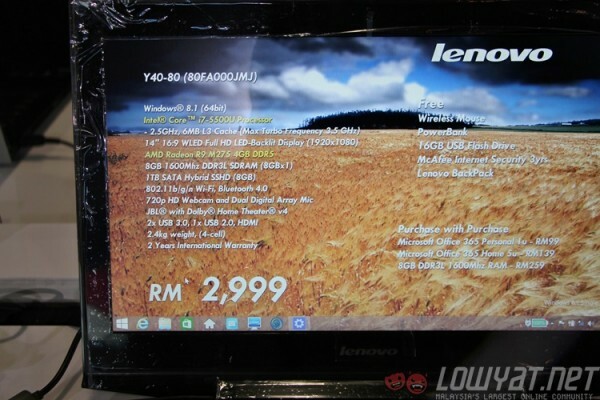 The ongoing Malaysia IT Fair in Mid Valley Megamall is proving to be quite interesting for prospective laptop buyers. 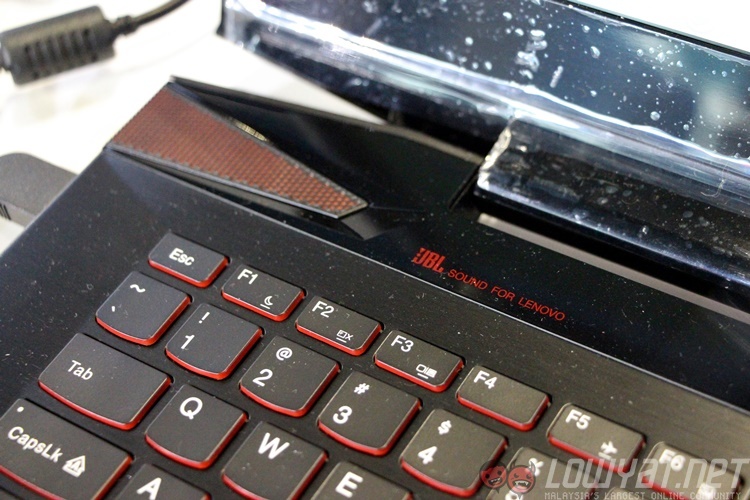 Not only did MSI announce two new gaming laptops (including the GT80 Titan equipped with a mechanical keyboard), Acer also took the opportunity to put its new 2015 models on sale. 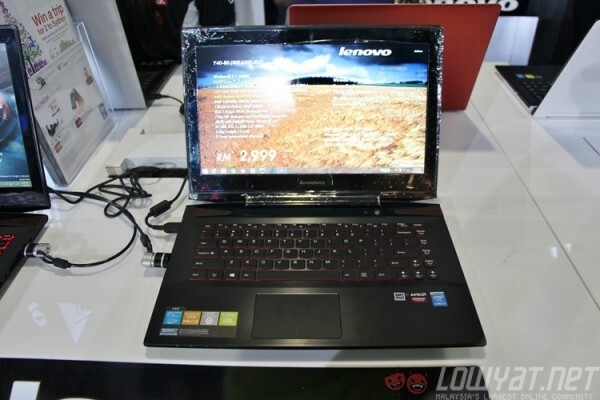 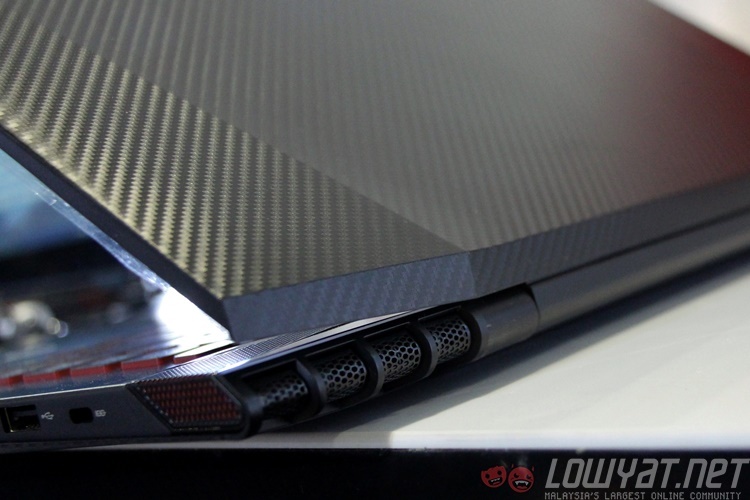 The final surprise came from Lenovo, where the company’s 14-inch Y40-80 gaming laptop also made its debut here. 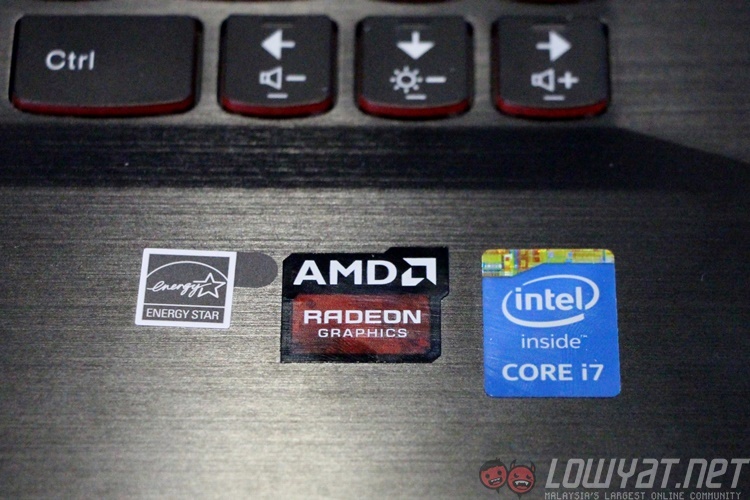 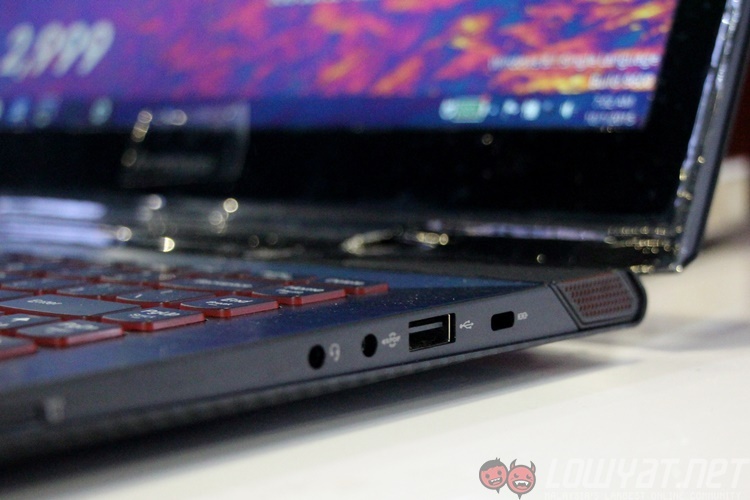 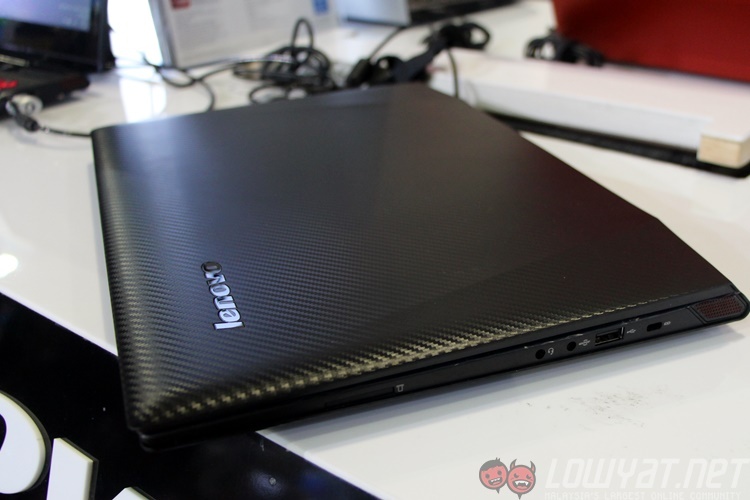 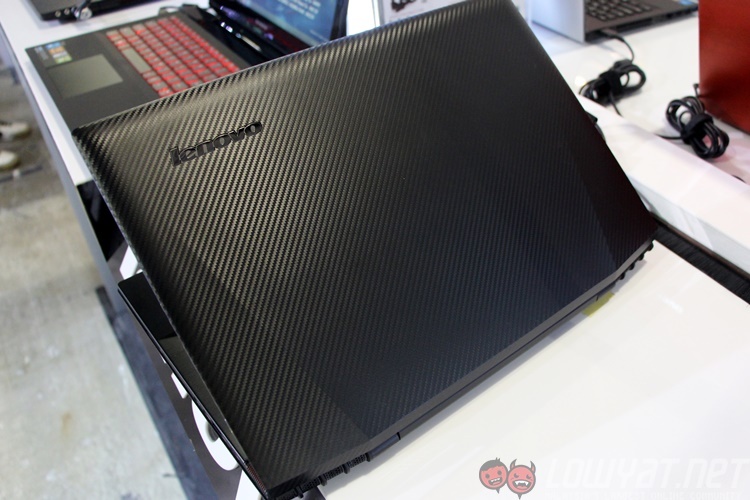 Lenovo’s Y series of laptops are fast becoming a favourite among budget-conscious consumers. 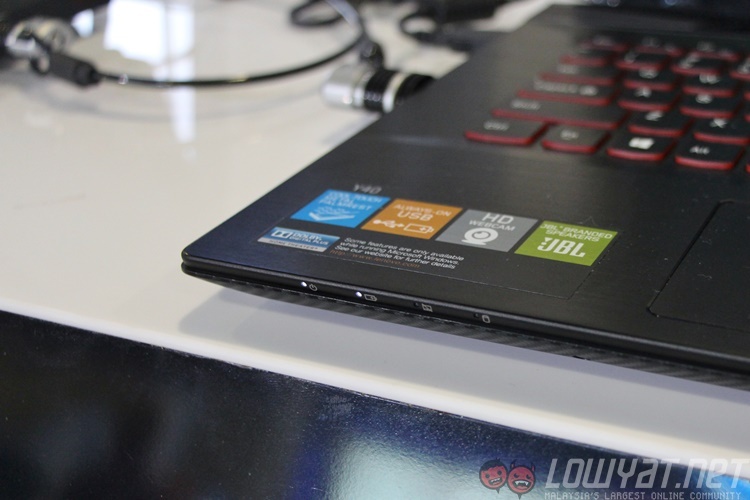 Consisting of the 14-inch Y40 and the 15.6-inch Y50, both models offer great value for money and the new Y40-80 seen here at the IT Fair is no different. 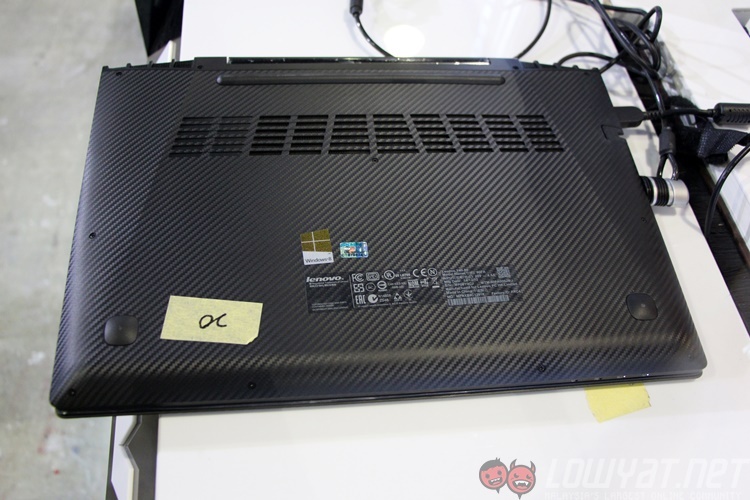 The new Y40-80 is powered by the recently-announced fifth-generation Intel Core i7-5500U 2.5GHz dual-core processor with 8GB 1,600MHz RAM, and has an AMD R9 M275 GPU with 4GB DDR5 memory – it is some way below the NVIDIA GeForce GTX 860M, but is still classified as a Class 1 mobile GPU by NotebookCheck. 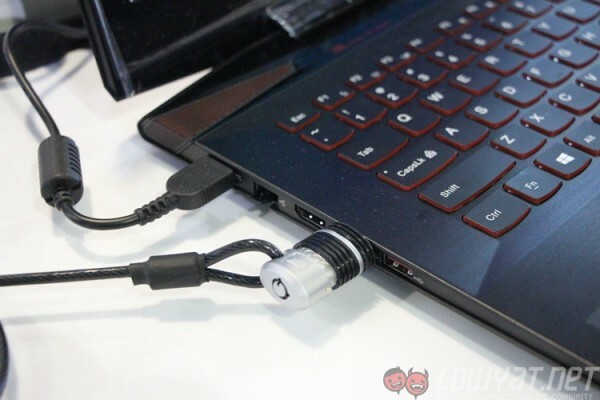 Other specs include a 14-inch Full HD LED display, 1TB hybrid hard drive with 8GB SSD cache, JBL speakers, 3 USB ports (2x USB 3.0), HDMI-out, and a multi-card reader. 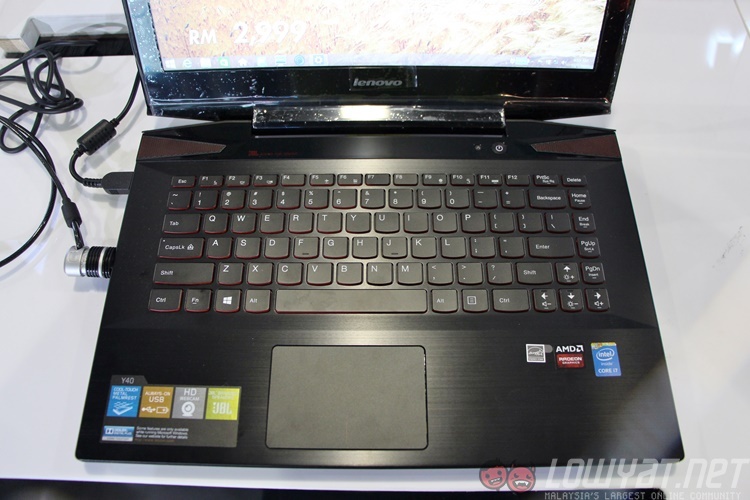 This 2.4kg gaming laptop is now retailing at RM2,999 with two years international warranty included as standard. Those who purchase the laptop will also receive free gifts such as a Lenovo backpack, a 3-year license for McAfee Internet Security, a 16GB flash drive, a power bank and a wireless mouse. At the Malaysia IT Fair, you can also add more into the Y40 with purchase-with-purchase deals, including licenses for Microsoft Office 365 and extra RAM options. The speed at which Lenovo has unveiled its new Intel Broadwell-powered laptops in Malaysia is certainly impressive, and we’re excited to see what other improvements Lenovo will make for the upcoming Y50 refresh later this year. 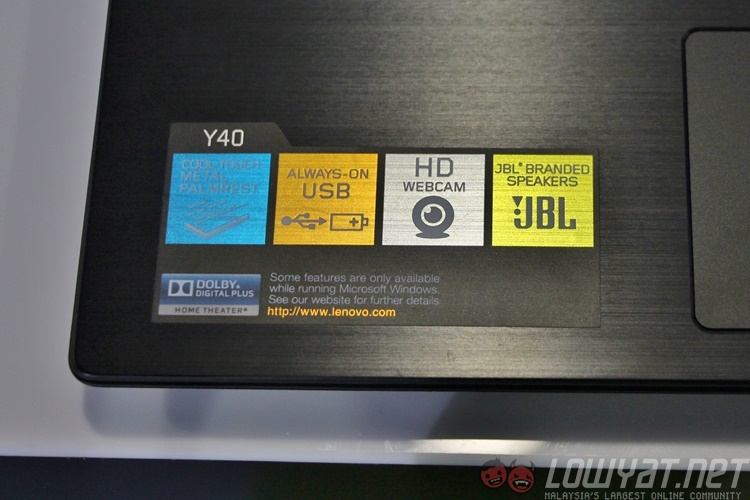 In the meantime, you can take a look and feel the Y40-80 for yourselves at the Malaysia IT Fair in Mid Valley Megamall, or enjoy the images here.